New information about the new tech. 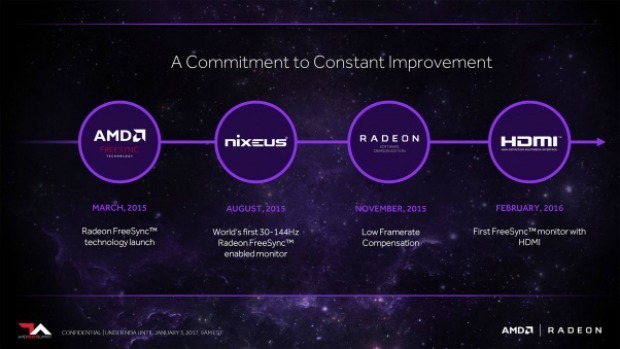 Ever since AMD released the first FreeSync back in March of 2015, the company has been working hard to even make a better piece of display technology. The company has actually been able to expand the way that display technology has impacted markets like the gaming industry. In order to strengthen their standing in the market, AMD has managed to come up with display technology that now has low frame rate compensation (LFC) which is able to mimic the experience of G-Sync displays, according to PCper.com. This ability is even a bigger accomplishment thanks to the fact that computers using the technology are now using HDMI connections more and more. These days, the real win for AMD is the number of displays that are out on the market that support the FreeSync and will be even more numerous when it comes to the FreeSync 2. The company has managed to create tech that can now greatly improve qualifications to displays for latency, color space and LFC.